Mobile, door to door laundry and dry cleaning solution. 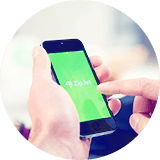 With flexible 30-minute time slots, you can pick the order time that works best for you. 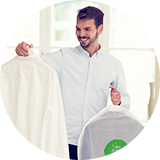 We provide laundry, dry cleaning and ironing services from top-notch facilities, and take special requests so that you can look and feel your best. Next day dry cleaning and laundry delivery. 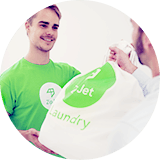 Your clean clothes will arrive just 24h after pickup. By the time you’ve used one shirt, fresh ones will be on their way!